I found this great cigar box during a quick walk through of a local Goodwill store. I considered it a win because I was able to get my Goodwill customer rewards card stamped (10 stamps and you save 20% off your total purchase and I only managed to spend $1.06 (with tax) I had made a previous attempt to upcycle another cigar box and the whole project went terribly wrong! I liked this box because unlike the failed project box, it was made only from wood. The other cigar box was made from wood also; However it was coated in paper. The Mod Podge adhered to areas like the lid creases and not realizing it also adhered to this “paper.” When I tried to open the lid it was glued to the box! Upon attempting to open it, the lid tore away from the box. Ouch! That’s what I’d call an Epic Fail! I swore this cigar box upcycle would be different! 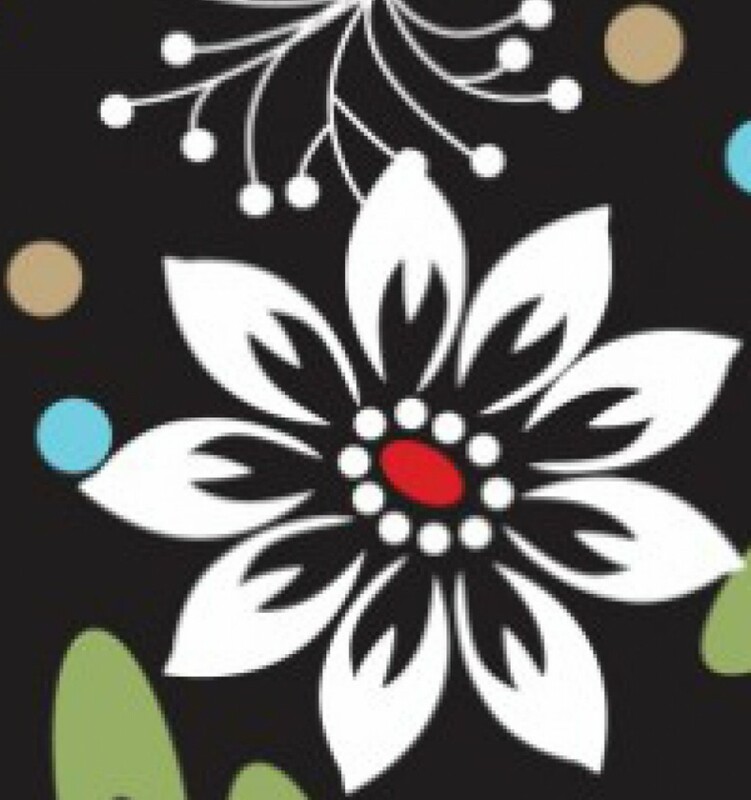 After all, decoupage boxes are usually fun and easy to make. 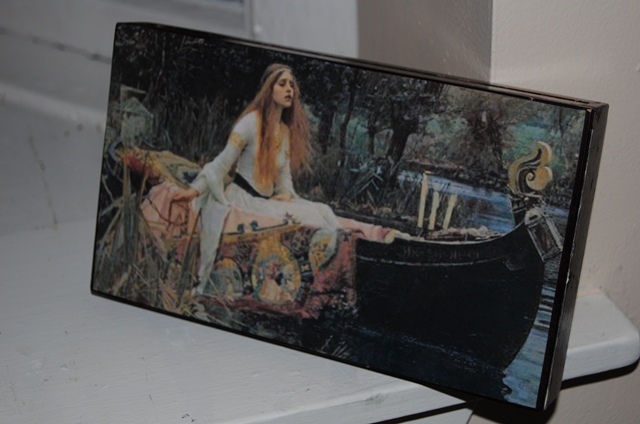 For the lid cover, I chose the John Waterhouse painting The Lady of Shalott. 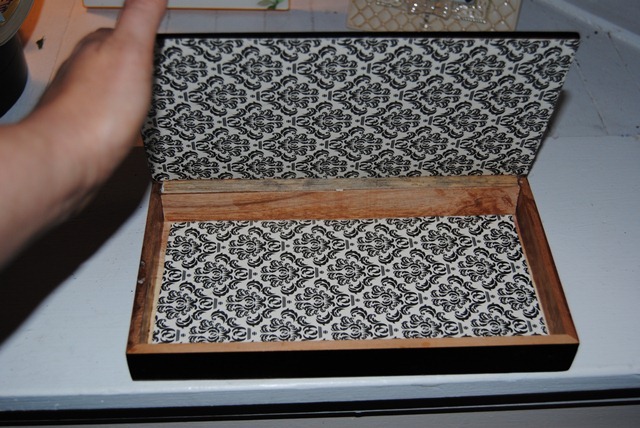 My plan was to line the inside of the box with Ivory Damask scrapbook paper I had on hand. First, I traced the box lid onto the back of the art print. I then traced the bottom of the box, and inside lid onto the back of the scrapbook paper. I then cut them out with scissors. I applied Mod Podge with a foam brush to the lid and carefully adhered the print to the top of the box carefully, smoothing it out with my hands. I allowed the box to dry, and repeated this process on the inside of the box using the scrapbook paper. Cigar boxes are great and I love when I stumble upon them in thrift shops. I also love the Lady of Shalott. (both the painting and the Tennyson poem). I actually have a print of that painting in my home. It’s so pretty. What a great Goodwill find. I’m jealous. And that print is gorgeous. Fabulously romantic! …and have you decided what will you be secreting away in your lovely new box?